Choosing the right Christmas gifts for your employees or customers is something that requires a bit of thought. It's important to select a gift that is thoughtful, yet generic enough to appeal to many different people with a wide variety of tastes and preferences while also reinforcing your company's brand. When thinking about business gifts for the holidays, turkeys and hams are often the first items that come to mind. However, companies that give actual turkeys and hams are faced with logistics challenges associated with storing and delivering these items. Additionally, it's not uncommon to give this type of gift only to discover that the recipients have already purchased their own holiday main course, have a different tradition or will be traveling for the holidays. Fortunately, there are a few great gift certificate programs that make it possible for companies to stick to this tradition while allowing maximum flexibility for their employees. Supermarket certificate: PFR Corporate Gifts offers gift certificates that can be redeemed at any supermarket for a turkey or ham up to a maximum price designated by the gift purchaser. The expiration date for certificates given at Christmas time is set for the month of Easter, so recipients have several months to redeem. I received one of these certificates from PFR Corporate Gifts when attending a Society for Human Resource Management conference and was able to easily redeem it at my home-town supermarket. Honey Baked Ham certificate: If you don't want to send your customers or employees to the supermarket, consider purchasing a Honey Baked Ham gift certificate. They can be redeemed for any item carried by Honey Baked Ham, either in-store and via the company's online catalog of tasty treats. Recipients can use them to complete their holiday meals or at any other convenient time. Because Honey Baked Ham carries side dishes and desserts, this is a terrific option if some of the recipients don't care to eat ham. US News & World Report lists donations to charitable groups on its list of the top ten business gifts, but cautions to be careful when selecting the charity. Avoid choosing organizations that may be controversial (such as political or religious organizations) or that may represent causes that the recipient doesn't support. Either allow recipients to decide where the money goes or look for a universally agreed upon cause that is consistent with your organization's overall mission. For example, if your company has a commitment to sustainability, consider making donations to a nonprofit organization with a nonprofit focus. Let recipients choose: Charity Choice allows you to fund gift cards designated for charitable donations, but allows the recipients to decide what organization gets the money. Gift card holders are allowed to select the charity of their choice from a list of more than 250 participating nonprofit organizations. Select a worthy cause: If you'd rather decide what charity will receive funding, look for a nonprofit that is likely to appeal to everyone in the population of gift recipients. Use Charity Navigator to look for groups to consider supporting if you aren't sure what organization to choose. Giving the gift of entertainment can be a great way to let your customers and employees know that you appreciate them during the holidays. Choose options that allow the recipients to decide where and when they go to the movies. They're sure to appreciate having access to pre-paid entertainment, and will think fondly of your company when putting the tickets to use! 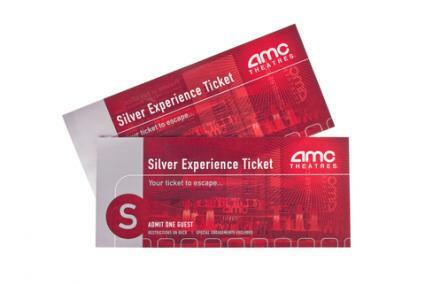 Theater-specific tickets: Major movie theaters like AMC and Regal offer a variety of corporate and individual gift-giving options, including gift cards, ticket and concession packages and more. If you are buying more than 100 tickets, you may even be able to get a corporate discount. General movie passes: Fandango gift cards are also a good option, especially if you are sending gifts to people in locations where there are several different theaters from which to choose. These gift cards can be used to buy tickets to any Fandango-ticketing theater. 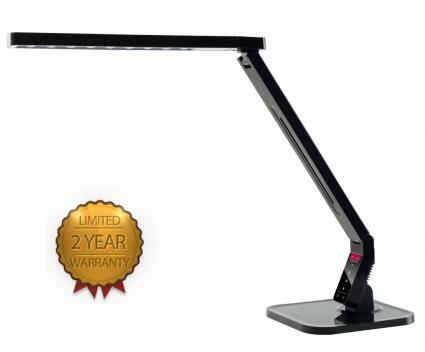 If your employees or clients work in a traditional office environment or use a computer at home, an up-to-date desk lamp may be a great holiday gift option. This type of gift allows you to share a helpful technology-oriented item that everyone can use, without having to give consideration to what type of phone, computer or other equipment the recipients may have. LED Smart Lamp: If you're looking for a sleek, stylish lamp that recipients will be proud to display at home or work, consider the Softech - Natural Light Smart LED Lamp. This dimmable lamp sells for around $70, and it features a a charging port for cell phones and other devices that can be charged using a USB connection. It's also flexible so it can be adjusted to the perfect angle. Sleek lamp with extra plug: If you like the idea of a modern--looking desk lamp but would rather keep your spending below $50 per gift, consider the Tensor LED Architect Desk Lamp, which is available from Staples. It has a metal shade and a rotary on-off switch. While it doesn't have a USB charging port, it does feature an extra outlet on its base, a feature that can come in handy in any office or home. This lamp has a number of positive reviews at Staples, with customers praising its lighting quality and low price. Messenger bags are a must-have accessory for men and women alike, so they can make great holiday gifts for employees and customers. Quality messenger bags are professional-looking and practical. They are likely to get daily use, which means they can serve as a visual reminder to your employees and customers of the great gift your company provided at the holiday season . These bags are available in a wide variety of styles and price ranges, so it should be fairly easy to find options that meet your needs. 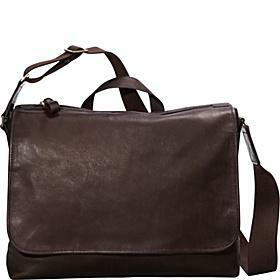 Leather: For quality leather messenger bags, eBags is a great resource. They carry roomy bags made of high quality leather featuring sturdy straps and roomy compartments for around $70. I received one of the company's messenger bags for review and am very pleased with the quality. It holds up well during everyday use and business travel, and it is as good-looking as other bags I've seen with much higher price tags. The company has a corporate sales division, so you can have the bag that you choose customized with your own branding message if you are ordering at least $1,000 worth of merchandise. Cotton canvas: If you prefer a fabric bag, consider the Eco-Friendly Messenger Bag from e-CorporateGifts.com. For less than $30 each, you can order quality canvas bags made from sustainable cotton canvas. You can order the bags plain, or have them imprinted with your company's logo, the recipient's initials or other text (or artwork) of your choice for an additional fee. Quantity discounts are available, making these bags a great choice if you are purchasing for a number of people. Messenger bags aren't the only logo-friendly gift option to consider. THP Creative Group points out that building brand awareness can be one of the primary benefits of corporate gift giving, so you may want to consider logo merchandise when selecting holiday gifts. If you go this route, it's important that you select high quality items that truly seem like gift items rather than like marketing materials for your company. Avoid items that could double as trade-show giveaways or office supplies, instead opting for long-lasting goodies that recipients will really see as special treats. Bluetooth speaker: If your workforce and customers are likely to own one or more Bluetooth enabled devices, an imprinted Bluetooth speaker could be a great gift idea. This is an item associated more with fun than work, so the gift will seem quite thoughtful even though it has your logo featured prominently on the front. The Addi Bluetooth speaker from 4imprint is a good option. Pricing starts at $42.50 per unit, going down as the quantity increases. There is also a $50 set-up fee. Cheese serving set: A quality cheese board and knife set can be a great option for a logo-imprinted holiday gift. Promotions Now has several options, ranging from $15 to $65 each, plus logo set-up charges. These sets are typically made from light colored wood or bamboo, with the corporate logo etched subtly on the top of the case or cutting board portion of the set. Gift baskets are popular corporate holiday gift items that come in options for all price ranges. You can find nice small baskets for as little as $25, or splurge on extravagant collections of goodies that cost well over $100. They work well for gifts to individuals, as well as for team gifts intended to be shared with everyone in a particular department or division. Be sure to take into account taste preferences and dietary restrictions when choosing baskets, particularly when purchasing this type of gift for a specific individual. Food baskets: Hickory Farms has a great selection of baskets featuring cheese, smoked sausage, crackers, fresh fruit and sweet treats. They have a corporate pricing program that offers merchandise and shipping discounts for bulk orders. You may also want to consider gift baskets featuring organic food if wellness and sustainability are focuses for your organization. Beverages: There are also plenty of great gift basket ideas for gourmet coffee lovers, tea drinkers and wine enthusiasts. Listening to music is a pastime that is almost universally enjoyed. While you might not share the same taste in music as your customers or employees, you can provide them with gifts that make it easier for them to enjoy the tunes they enjoy. Whether you provide funding to purchase music or gadgets that make it easier to listen to tunes on the go, your thoughtful gift is sure to be appreciated. iTunes gift cards: According to Apple Insider, there are more than 575 million iTunes accounts, with an average of 500,000 new accounts being added each day. With statistics like that, it's probably safe to assume that most of your customers and employees have easy access to redeeming an iTunes gift card in any denomination that you choose. If you happen to reach someone who doesn't like to download music, he or she can opt for movies or books. Headsets: If you like the idea of a music-related gift but don't want to go with a gift card, consider a set of quality headphones or earbuds. CNET published an updated list of its choices for the best headsets in August of 2013, with selections priced from just under $10 to more than $600, so you can choose options to fit any budget. If your customers and employees spend time driving for work or in their personal lives, high quality roadside safety supplies could be a good choice. People often don't think to purchase these items for themselves, but wish they had access to when unexpected emergency situations arise. This type of gift is practical and thoughtful, and clearly conveys the notion that your organization is interested in the well-being of two of its most valuable groups of assets - customers and employees. Avoid low-end kits that are more like promotional giveaways than valuable safety resources. Go with a well-stocked kit from a brand name recognized as a leader in safety. AAA kit: The AAA Deluxe Roadside Safety Kit is a great choice if you want to give a comprehensive kit packed with just about everything you might need for roadside incidents. Available for under $70 from L.L. Bean, this kit contains booster cables and a car care guide for troubleshooting. It also has a battery-free flashlight, an LED safety light and a reflective vest for maximum safety during nighttime incidents. Additional items include a first aid kit, utility knife, blankets, a poncho, duct tape, cleaning cloths and more. L.L. Bean customer reviews are positive, with purchasers describing the kit as a top quality resource packing a full range of handy supplies in a compact case. Several mention receiving the item as a Christmas gift. Survival Hacks kit: If your budget doesn't have room for the AAA kit described above, the Survival Hacks Roadside Kit comes with 92 pieces, including jumper cables. Selling around $50 a kit, you can save $20 per person if you choose this option, and Amazon customers give it a solid five-star rating. If you have a sizeable budget and you want to give a business gift that really impresses your employees or customers, consider choosing tablet devices as this year's gift of choice. There are a variety of options available, ranging from less than $100 to more than $600. If you're a technology-oriented company or one that has a mobile-oriented workforce or customer base, be sure to select one of the newer models to emphasize your company's commitment to progressive thinking when it comes to information technology. VentureBeat.com recommends both the iPad mini and the Nexus 7 in its 2012 tablet gift guide. 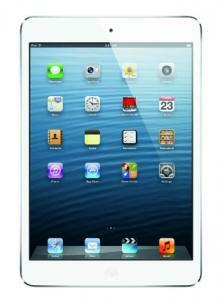 iPad Mini: iPad minis are priced around $330. They're sure to appeal to people who have older, larger iPad models, as well as those who are new to tablet ownership. TechRadar describes the mini as "a worthy addition to the iBrand." CNET suggest that it's a great choice for budget-minded shoppers and those who want a second iPad. Nexus 7: Prices for the updated 2013 Nexus 7 Android table from Google start at $229, making it a lower-cost option than the iPad mini. A review on KnowYourMobile.com indicates that the 2013 model is significantly improved over the previous year. The review describes the device as "the best Android slate you can buy right now" and states that it "offers amazing value for the money." These are just a few of the many options when it comes to corporate holiday gifts. When making your decision, consider your company's vision and brand while taking into account the preferences and interests of the people you are shopping for. Also ensure that the products you're interested in are available in an appropriate quantity and consider if you'll feasibly be able to get the item into the hands of the recipients in a timely manner during the Christmas season.